In case you’ve never heard of them trusts are in a sense the holy grail of offshore asset protection trusts and international tax planning. When there’s no other way to achieve your goals often it’s possible with a properly structured trust (I say “properly structured” deliberately because they are complex and you can easily mess it up by not structuring properly). With an offshore asset protection trust you can have as close as possible to bullet proof asset protection (more on this subject in the future). With an offshore asset protection trust you can potentially shelter your assets from tax when no other option is available. This being said trusts are extremely misunderstood by everyone from banks to governments and individuals in part because trust law doesn’t exist in much of the world (we’ll cover this too). And I have to explain to them that technically this isn’t correct because unlike a corporation, which is a separate legal person in most countries a trust doesn’t exist as a thing. A trust isn’t a separate legal person it’s more like a relationship between persons concerning assets. A trust potentially allows you to separate these things so the person who owns something doesn’t benefit from it (much like how employees of a company won’t benefit from the profit they generate for the company). The relationship between these three parties is governed by what’s called a “trust deed”, which is a fancy term for a document or agreement spelling out the roles of the various parties and terms for how they are to operate with respect to the trust assets. The trust assets are whatever assets have been placed into trust by the Settlor/Grantor (Grantor is the US term the rest of the world tends to use the term Settlor). So a Settlor gives assets to a Trustee and the Trustee has a legal agreement in the form of a trust deed with the Settlor about what to do with those assets. The Trustee holds those assets “in trust” for the beneficiaries and ultimately passes the benefit of those assets on to the beneficiaries when the terms of the trust deed are met. For example, it would be common for a grandparent to leave money in trust for their grandchildren rather than giving them inheritance immediately. It might say “hold it in trust until they turn 18 and upon their 18th birthday give them their share”. Or maybe it’s held in trust to pay for educational and medical expenses for their grandchildren and descendants afterwards. Where it can get complicated is the Settlor could also be the beneficiary, the Settlor might also be the Trustee, there might be additional roles in the trust such as a Protector, etc. It can further get complicated by the fact that someone might be deemed a trustee even if they aren’t officially listed as the trustee because they perform the role of the trustee and exercise the powers of the trustee. It helps to get some background of where trusts come from to understand what they are and how they work. The original history dates back to the crusades when Knights, lords, etc. were going off to war and would hand their possessions or wealth to the church to care for it for them in their absence and then get it back when they returned from the Crusades if they survived. This concept has been expanded into all sorts of quasi trusts or trust relationships over the years where you give something to someone else to take care of for you. It isn’t their’s, you aren’t giving it to them. If you think about it this essentially what happens when you had money over to an investment advisory/custodian, or to the executor of a will when you die. Going back to the Crusades example you might say in this case, which weren’t formal trusts with sophisticated law like we have today the Settlor was also a beneficiary because if the settlor (Crusader who gave their assets to the church (to hold as a trustee)) returned they’d get the assets back and if not maybe those assets would be handed to their children or meet some other criteria. Essentially, the thousands of scenarios over the years where someone has needed to hand assets to someone else for a specific purpose have led to the evolution of complex trust laws around the world. 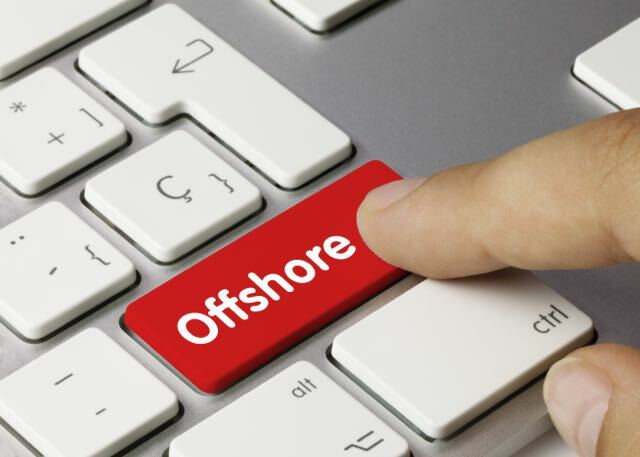 What Makes a Trust Offshore? In many countries (typically those with Common Law) it’s possible to have local domestic trusts and this is common for inheritance, estate planning, asset protection and potentially other situations. In fact a trust can exist even without the formal creation of a trust relationship through a trust deed (first established in British Common law through what’s called a Quistclose trust based on a famous case where a company handed money to another company to invest on their behalf and the other company then ended up going bankrupt). The complicated thing about determining whether a trust is domestic or foreign/offshore is you’ve got so many pieces of a trust. For example, if the assets are located offshore is it an offshore trust or a domestic trust? If the beneficiaries are located abroad is it an offshore trust or a domestic trust? If the trustee is located abroad is it an offshore trust or a domestic trust? This creates the complex reality that trusts can in principle be multi-jurisdictional. So people will sometimes talk about Cook Islands trusts or Nevis trusts and ask “where is the trust based?” but maybe it’s registered and adjudicated to Nevis but administered from somewhere else or any variation thereof. For the purposes of various governments around the world a trust might be considered a domestic trust (or a trust governed by their local laws) based on any of the above 3 factors or where the Settlor is from or where the Beneficiaries are located. So for example, Canada has generally deemed that rules of management and control on corporate residency (fancy term for when a company is subject to Canadian tax rules on its full worldwide income) also apply to trusts. It’s very common to say “anywhere where the person forming the trust (the settlor) is a local the trust is also local”. Bottom line? Trusts are super complicated and you’ve really got to know what you’re doing. Anyone trying to sell you a trust online for $2000 is leading you wrong, all they are selling you is a piece of paper and maybe a registration neither of which are going to determine all these complex factors. If you’re going to go down the trust road invest in doing it right or it might not do what you want it to. So Why Are Trusts So Powerful? Quite simply because as the Settlor or Beneficiary you potentially don’t own the assets. Think about this from the perspective of if you’re being sued. They are going after your assets but you don’t own these assets you’ve given them up and put them into trust so courts typically (I saw typically because it’s complicated and there are lots of exceptions to this rule) can’t go after them. But on the flip side the Trustee doesn’t own them either they are simply holding them in trust, even though they hold the legal title and so in the event of a lawsuit they can be protected from the attack, from insolvency/bankruptcy etc. This puts them in a very unique category where the assets are hard to get at for someone attacking them. The same principle sometimes applies to tax. A lot of tax rules are based on ownership such as CFC rules so what happens if you don’t actually own the asset? We don’t want to imply Trusts are magic bullets, they aren’t there are ways they can be pierced in courts and there are often special tax rules for trusts designed to prevent them from being used for abuse. It really depends on the country and because it’s so complicated it’s beyond the scope of this article so you can contact us to discuss your specific situation. What we would say is with proper planning, proper management, etc. trusts are a tool to do things you can’t do otherwise. The key is proper planning and proper management. For example, you can’t simply get sued then decide to transfer assets into a trust and magically have them protected. In many parts of the world there are rules concerning something called “Fraudulent Transfer” where you’re trying to defraud a creditor, which would cause serious issues so various countries have limitations on the time frame of those transfers to determine whether it’s valid or can be reversed. There’s a multitude of legal scenarios that could arise so it’s too complicated to cover here but reach out to us for a conversation and we can discuss. What About Countries Where There Are No Trust Laws? Trusts come from Common Law but most of the world isn’t governed by Common law and as a result trusts don’t natively exist in most of the world. This being said a lot of people misunderstand this topic. I’ve received statements like “xyz country doesn’t have trusts” but this doesn’t mean for example a citizen of that country couldn’t be a beneficiary of a foreign trust. Countries without local trust law but have accepted trust recognition in some form – this is most common for signatories to an international treaty called the Hague Convention on the Applicability of Trusts and Their Recognition. Loosely speaking this means local jurisdictions with recognize foreign trust law between signatories when those trusts operate locally and arose because there was huge amounts of money held in these trusts and countries wanted to encourage them to invest locally but the trustees would say “no, we don’t know what the consequences will be if we invest there because you don’t have trust laws” so the convention helped to clarify some of these points.Along with these are a history of laws arising from foreign countries without trust laws of their own having had to deal with foreign trusts and how they’ve decided to handle it. Countries without any recognition of trusts at all – some countries (such as UAE) go so far as to explicitly state that trusts do not exist in their laws and are not recognized as existing at all. In other cases there is not statement one way or another. Why this is especially important is because we live in a connected world and actually a country not recognizing trusts locally can make them even more powerful because for example the tax code might not be designed to deal with them. Countries like Spain and France are examples of this where there are no trusts and therefore the taxation of assets held abroad in trusts even if held for local beneficiaries aren’t prepared to apply their normal anti-deferral rules (in plain language forcing you to bring the money back and pay tax). Bottom line, you might not be able to form a trust relationship in terms of the trust deed in many of these countries but it doesn’t mean the Settlor, Trustee, Beneficiary, or Protector can’t be located in one of those countries and this can give you many more options. But they aren’t simple and sitting reading about them on the internet isn’t likely to give you sufficient insights into all the variations of country rules, management nuances, offshore asset protection trusts potential, tax consequences, etc. So contact us for a no obligation consultation to help determine what’s best for you in your situation and take action on your next step.